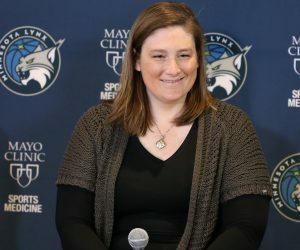 After completing a 3-0 sweep of the Washington Mystics in the semifinals of the WNBA Playoffs on Sunday in the nation’s capital, the Minnesota Lynx returned back to Minnesota on Monday afternoon. 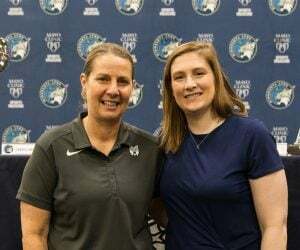 Cheryl Reeve and a few Lynx players spoke to the media Monday following their arrival back to Minneapolis–Saint Paul International Airport. Their focus? Enjoying this moment, but shifting their attention to their next step in the WNBA Finals. Minnesota is returning to the finals for the third straight season and for the sixth time in seven years. 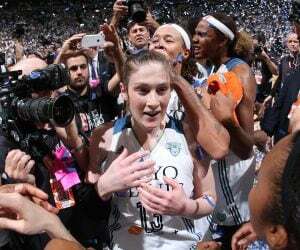 Minnesota will have a rematch with the Los Angeles Sparks in the WNBA Finals after facing off in last years Finals. 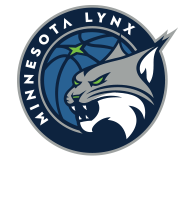 Both the Lynx and Sparks are searching for their fourth championship in team history. 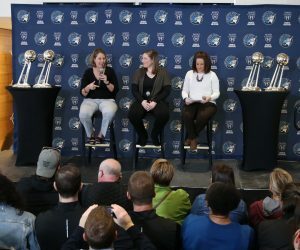 The Lynx will face the Sparks in the best-of-five series starting with Game 1 at 2:30 p.m. Sunday, September 24 at Williams Arena in Minneapolis. That game can be seen on ABC and can be heard on 106.1 BOB FM, TuneIn Radio and the Lynx App.